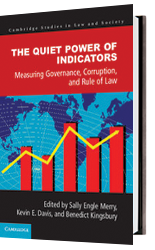 The use of indicators is a prominent feature of contemporary global governance. Indicators are produced by a range of organizations including public actors, NGOs, hybrid entities, and the private sector. 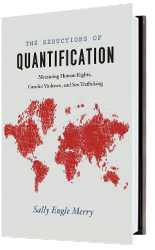 They are used to compare and rank states for purposes as varied as deciding how to allocate foreign aid or investment and whether states have complied with their treaty obligations. 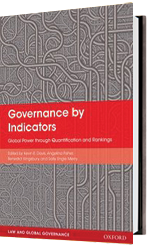 This project aimed to define the concept of an indicator, to describe how indicators have recently been used in global governance, and to identify various ways in which the use of indicators has the potential to alter the nature of global governance. Particular attention was paid to how reliance on indicators affects the authority and contestability of decisions.